December 15, 2009 - British Airways is commencing legal action in an attempt to protect customers from the massive stress and disruption threatened by Unite's decision to call a 12-day strike from December 22. The airline has today written to Unite, highlighting irregularities in the union's strike ballot, which the airline believes renders the ballot invalid. The airline called on Unite to call off the industrial action by 2pm today. The union has not done so and British Airways is now seeking an injunction to prevent the strike going ahead. Today's letter was the third sent to Unite, pointing out the balloting flaws, since last Friday. The union did not reply to the first two letters. As a back-up to the legal action, British Airways managers have been establishing which cabin crew might wish to work normally during the strike period. Willie Walsh, British Airways chief executive, said: "We are absolutely determined to do whatever we can to protect our customers from this appalling, unjustified decision from Unite. "We do not want to see a million Christmases ruined. "Unite was told about the problems with its ballot on Friday. Yet it cynically went ahead with an extreme, highly publicized threat to our customers and our business in the knowledge that it might not be able to carry it out. "We remain available for talks with Unite at any time without preconditions." Britain's biggest labor union has voted on a Christmas labor strike in reaction to British Airways announcement to cutting 1,700 jobs, freezing pay for current staff and offering lower wages for new employees. 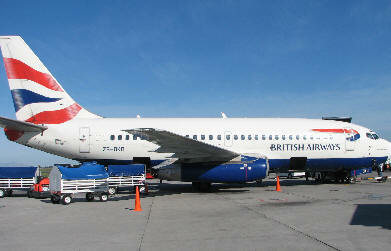 British Airways is the flag carrier airline of the United Kingdom. It is headquartered in Waterside near its main hub at London Heathrow Airport and is the largest airline in the UK based on fleet size, international flights and international destinations. Its second hub is London Gatwick Airport. British Airways has indicated they will “fight to the death” to prevent a 12 day walkout by cabin crew. British Airways has expressed that they are extremely disappointed that Unite is planning massive disruption for hundreds of thousands of our customers over the Christmas/New Year holiday period. “A 12-day strike would be completely unjustified and a huge over-reaction to the modest changes we have announced for cabin crew which are intended to help us recover from record financial losses. Unite's cynical decision betrays a total lack of concern for our customers, our business and other employees within British Airways”. British Airways has further stated “Unite's claim that changing onboard crew numbers from Heathrow is a contractual issue, with which we disagree, will be resolved by the courts in February. A 12-day strike over Christmas and New Year can have no effect in determining this issue”. Willie Walsh, British Airways chief executive, said: "A strike is senseless - and we urge Unite to draw back. We will not be reversing our changes to onboard crew numbers. They have allowed us to accept more than 1,000 requests for voluntary redundancy - and those former colleagues have left the business. Unite must understand that there can be no return to the old, inefficient ways if we want to ensure long-term survival in the interests of our customers, shareholders and all our staff”. British Airways has stated “We are aware that Unite, the trade union that represents British Airways’ (BA) cabin crew, has on December 14, 2009, announced that its strike ballot has closed with a vote in favor of industrial action between December 22, 2009 and January 2, 2010. We are currently reworking our flight schedules for the strike period and aim to announce them as quickly as possible. Our intention is to inform affected customers directly if we have their e-mail address or by SMS text if we have their mobile phone number. We will use the contact details supplied at the time of booking, so we ask customers to please ensure these are correct and up-to-date”. On 12 November 2009, British Airways had confirmed that it had reached a preliminary agreement to merge with Iberia Airlines. However, it appears that British Airways is looking for an out. The combining of the two airlines would have made British Airways the world's third-largest carrier (after Delta Air Lines and American Airlines) in terms of annual revenue. British Airways (BA) was created in 1972, when the British Overseas Airways Corporation (BOAC) and British European Airways Corporation (BEA) managements were combined under the newly formed British Airways Board. This effectively made British Airways into the national airline for the United Kingdom and due to the lack of competition. The new company began to exert its position and significance. BA was one of only two airlines to operate the supersonic Aerospatiale-BAC Concorde inaugurating the world's first supersonic passenger service in January 1976. The final commercial Concorde flight from New York to London was on 24 October 2003. Sir John King, later Lord King, was appointed Chairman in 1981 with the goal of preparing the airline for privatization. King was credited with transforming the loss-making giant into one of the most profitable air carriers in the world, boldly claiming to be "The World's Favorite Airline", while many other large airlines struggled. The flag carrier was privatized and was floated on the London Stock Exchange in February 1987 by the Conservative government. In July 1987, British Airways affected the controversial takeover of Britain's "second" airline, British Caledonian. During the 1990s, BA became the world's most profitable airline under the slogan "The World's Favorite Airline". In 1993 BA formed British Asia Airways, a subsidiary based in the Republic of China (Taiwan), to operate between London and Taipei. BA also purchased a 25% stake in Australian airline Qantas, and acquired Brymon Airways to form BA Connect all in the same year. Lord King stepped down as chairman in 1993 and was replaced by former deputy Colin Marshall while Robert Ayling took over as the CEO. Benefits under his management included cost savings of £750m and the establishment of Go in 1998. However, one year on, in 1999, British Airways reported an 84 percent drop in profits, its worst since privatization at the time. In March 2000, Robert Ayling was removed from his position and British Airways announced Rod Eddington as his successor. Eddington set about cutting the workforce further, in response to the slump caused by the 11 September attacks in 2001 On 8 September 2004, British Airways announced that it was to sell its 18.5 percent stake in Qantas. In September 2005, new CEO Willie Walsh, former Aer Lingus boss, took charge of the company. In January 2008, BA unveiled its new subsidiary OpenSkies which takes advantage of the liberalization of transatlantic traffic rights, and flies non-stop between major European cities and the United States. On 30 July 2008, British Airways and Iberia Airlines announced a merger plan that would result in the two airlines joining forces in an all-stock transaction. The two airlines would retain their separate brands similar to KLM and Air France in their merger agreement. Unite is Britain's biggest union with two million members in every type of workplace. Unite was formed by a merger between two of Britain's' leading unions, the T&G and Amicus. It was created to meet the great challenges facing working people in the 21st century and is a democratic and campaigning union which fights back for employees in the workplace.